How much pocket money do your kids really need? 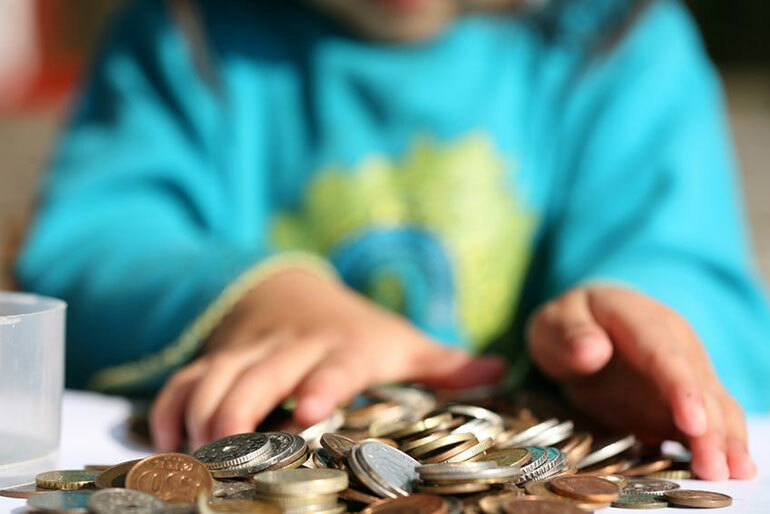 Giving your kids pocket money is a great way to increase their independence, but how much is too much? Getting it right is the first step towards making sure your kids are just as good at saving money as they are at spending it. Last year, Aviva and Halifax released surveys putting Britain's weekly pocket money average at £5.75 and £6.50 respectively. This figure changes depending on where you live - for example, children in London get £7.60 a week according to Halifax. If you're giving your kids more than that, it might be time for a rethink. Although giving your child £10 a week will definitely put you in their good books, it might not be helping their long-term independence. Aviva found that 6 out of 10 children wouldn't work as long as their parents continued to give them pocket money, and nearly 10% said they would keep relying on parental hand-outs until leaving home. So whilst giving your children a smaller allowance than their friends can feel a bit mean, you could be setting them up for a more independent future. If they want to earn extra money, you could also offer to pay them for chores around the house - £2 to clean the car, £1 to wash the dishes or 50p to sort the laundry. Or, depending on their age, you could encourage them to get a paper round or a Saturday job. Not only could a smaller allowance help your kids become more independent; it's also a great way to teach them about budgeting. Helping them to understand early on that they have to plan their future spending, and that some things just aren't affordable, will equip them with the skills they'll need during adulthood. According to Halifax, just over two fifths of children already keep their money in their own bank account. If you've got an independent, internet-savvy teen, they can use our free money management software to keep track of their finances. The easy-to-use tool will show them what they're spending their money on (i.e. on clothes, entertainment, food) and help them figure out if they're making smart spending decisions. A smaller amount of pocket money could also encourage your kids to start saving. They'll need to put away a few pounds each week to pay for little luxuries like cinema trips with friends, which is great practice for later life. Whether it's in a piggy bank or a junior savings account, they'll hopefully end up appreciating the freedom that comes from putting a bit of money aside each week. And learning how to save money sooner rather than later could put your kids in a better financial position when they're older.